I bolded “And this time… even teachers” because I was surprised to hear such a clear connection between a “they” and “blame teachers” when the film was entirely about the financial industry. To be truthful, there was some highly entertaining educating going on in the film. The “teachers” were celebrities Margot Robbie (actress), Anthony Bourdain (cook, author) and Selena Gomez (singer, actress) who broke the 4th wall to “teach” audiences about credit-default swaps and collateralized debt obligations. But, as an educator, I have long suspected that teachers have been a convenient scapegoat, even before the No Child Left Behind (NCLB) initiatives. Upon further investigation, “blaming the teachers” is not the only connection that is made between education and mortgage crisis. 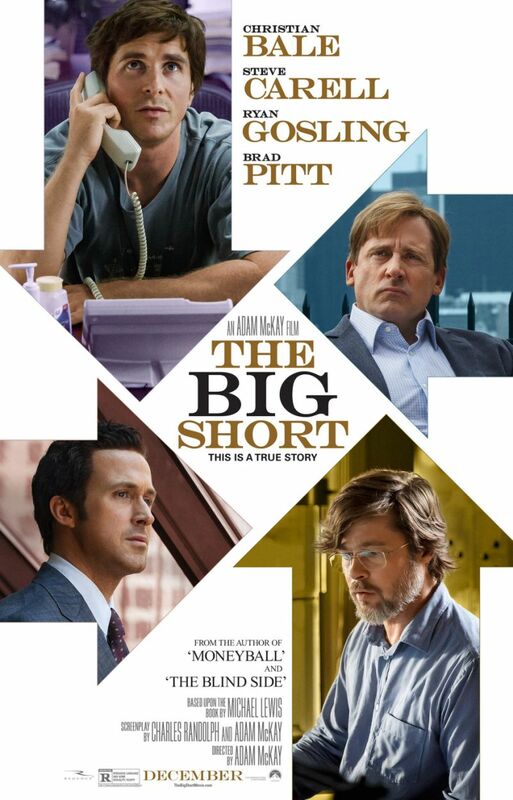 The film also highlights how several individual financial advisors saw the financial crisis coming, and then bet against the mortgage market (hence the name “The Big Short”). In following the path of inquiry from mortgage fraud jumped to education, I found that the financial expert Steven Eisman (played by Christian Bale) gave a speech in May of 2010 titled “Subprime Goes to College,” at the Ira Sohn Investment Research Conference. In his presentation (PDF) Eisman explained how federally guaranteed debt through Title IV student loans,one-quarter of the $89 billion in available, went to these companies that enrolled only 10 percent of the nation’s postsecondary students. The Citizens for Responsibility and Ethics in Washington (CREW) called upon the Securities and Exchange Commission to investigate whether Eisman had used his relationship with the Department of Education as a way to “manipulate the market price” of for-profit education stocks. This must have an adverse impact on Apollo Group; net income growth for as of August 2015 was -131.88%. Credits earned are unlikely to transfer. Troubles are deepening for ITT Educational Services, with the U.S. Department of Education on Monday announcing stricter financial oversight and reporting requirements on the embattled for-profit chain. In a letter to the company, the department cited federal fraud allegations against two ITT executives and the company’s “failure of the general standards of financial responsibility” in justifying its decision to tighten the screws. The attention Steven Eisman brought to the mortgage crisis eventually gave him credibility….and lots of money. He positioned this credibility towards another crisis…this one involving for-profit colleges.